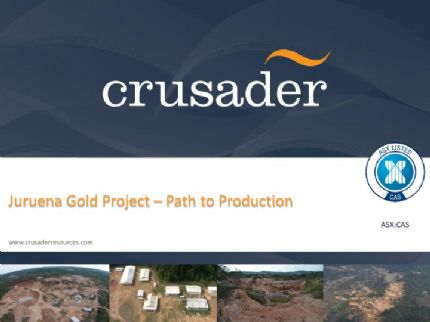 Crusader Resources Limited (ASX:CAS) is a minerals company focussed on the identification, acquisition, development and operation of projects in Brazil. 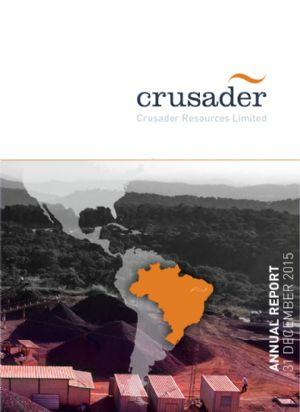 Crusader believes that Brazil is a vastly underexplored country with high potential for the discovery of world class mineral deposits. The company has already acquired a diverse portfolio of projects including gold, iron ore, tin, tungsten and uranium and continues to utilise its strong networks in Brazil to identify new opportunities. 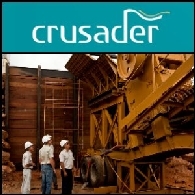 Crusader is characterised by a tight corporate structure and features an experienced board of directors who are strongly focussed on the success of the company. 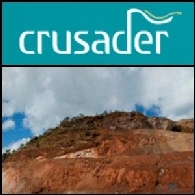 Laporan Pasar Australia 19 Oktober 2010 memuat: Crusader Resources Limited (ASX:CAS) sedang berprogres di Proyek Posse Iron Ore nya di Brazil; Mineralisasi Molybdenum Anthony milik Zamia Metals Limited (ASX:ZGM) mengalami perluasan di kedalaman; Pririe Down Metals Limited (ASX:PDZ) telah memulai pengeboran di Prairie Downs Base Metal Project; Sherwin Iron Limited (ASX:SHD) melaporkan kenaikan 40% di Roper River Iron Projecy miliknya di Northern Territory.